Sildenafil pills come in 4 different doses, but the only low cost option is the 20mg pill. Our partner mail order pharmacy charges $2/20mg pill, including free delivery. Sildenafil is the chemical name for the active ingredient in viagra . Sildenafil is in the group of medicines that doctors call PDE-5 inhibitors. Can I get sildenafil online? 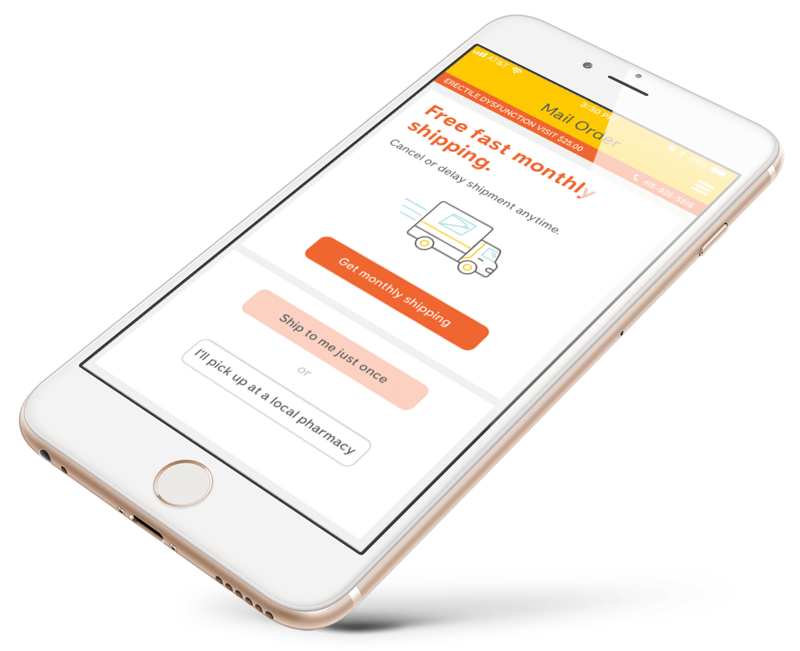 At Lemonaid you can buy genuine sildenafil online by completing an online doctor visit to with a doctor licensed in your state. We can send that prescription to our partner mail order pharmacy who offer free delivery. To get started you can use our erectile dysfunction service. Generic 20mg pills are the low cost option. 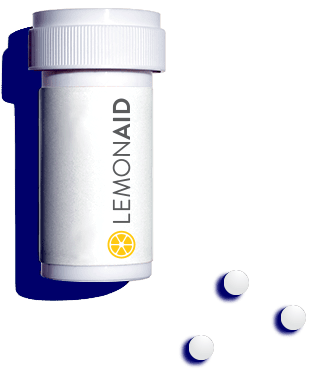 If a Lemonaid doctor thinks it is appropriate to give you a prescription, they will recommend you take 1, 3 or 5 pills at a time, depending upon your personal situation. 1 pill at a time = 20mg dose. 3 pills at a time = 60mg dose. 5 pills at a time = 100mg dose. These are the closest equivalent doses to the more expensive sildenafil 25mg, sildenafil 50mg and sildenafil 100mg. The typical starting dose for someone who has never taken these medicines before is 60mg, or 3 of the 20mg pills at a time. Pfizer makes an expensive branded version of the 20mg pill called Revatio. Generic versions of the 20mg pill are the low cost way to get ED medicines. Sildenafil also comes in more expensive 25mg, 50mg and 100mg doses. Pfizer makes a Viagra-branded and generic version of the 25mg, 50mg and 100mg pills. Teva makes a generic version of the 25mg, 50mg and 100mg. Your Lemonaid doctor will recommend the appropriate starting dose based on all the information you provide. Typically our doctors prescribe the 60mg as a starting dose, which means taking 3 of the 20mg pills at a time. Never take more than one dose in 24 hours. Do not eat grapefruit or drink grapefruit juice on the same day you take sildenafil because it increases the chance of side effects. Common side effects include headache, flushing, upset stomach, minor changes in vision, nasal congestion, back and muscle pain, nausea, mild dizziness, and rash. These side effects will often go away on their own, but you should seek treatment if they persist. The FDA has approved the 25mg, 50mg and 100mg pills to treat erectile dysfunction. The FDA has not approved the 20mg pill for erectile dysfunction, but has approved them for pulmonary hypertension. If you take the 20mg for erectile dysfunction then you are taking it off-label. $2/pill with our mail order partner. Prices at Walgreens/CVS can be $18/pill.